In the previous lines Paul wrote about prayer in the Christian life. But the Christian life isn’t only lived in the prayer closet. There also must be practical, lived-out Christianity, which lives wisely toward those who are outside. How we speak has a lot to do with this, so we must let our speech always be with grace, seasoned with salt. In those early days of Christianity, lots of false reports went about regarding the followers of Jesus. Terrible lies about Christians were widely promoted. Yet the simple, wise living of everyday believers went a long way to proving those false reports wrong. Christians are often judged by what they say and how they say it. Everything should to be marked with grace, which can mean both God’s grace and human graciousness. 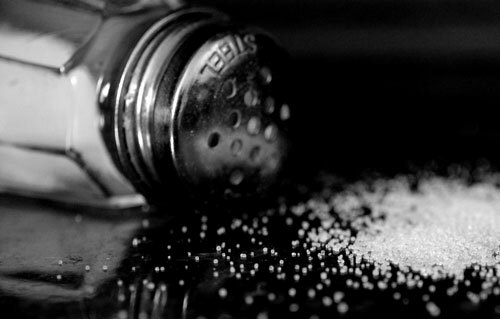 The idea of seasoned with salt is to speak with wit and humor. That’s a great combination – both grace and wit. William Barclay translated Colossians 4:6 this way: Let your speech always be with gracious charm, seasoned with the salt of wit, so that you will know the right answer to give in every case. Our conversation will then be both pleasant and wise, and those who don’t yet know Jesus will like speaking with us. Ask for more grace and extra “salt” for your speaking, so much so that people want to speak with you. All this helps us to know how you ought to answer each one. Paul believed that Christians would answer others from Biblical truth, and that they would work at knowing how to communicate those answers to those who are outside. This section of Paul’s letter to the Colossians shows that God cares both about our personal prayer life and our interaction with the world. He cares both about the prayer closet and the public street, and He wants us to care about both also. This is also an important idea to connect with the earlier passages of Colossians. Paul spent a lot of time in this letter explaining the truth and answering bad teaching. Yet all that correct knowledge was of little good until it was applied in both the prayer closet and the public street of daily life. We could say that here, Paul genuinely completed this letter. Now it is up to us to both pray and speak right, full of grace and salt. Hi David, I believe my last reply just got lost in cyberspace–so I’ll say this again. Thanks so much for your post. I never thought of “seasoned with salt” meaning “speaking with wit and humor.” I’ll have to remember this from now on.